The Former Secretary General, Momodou Sabally Freed or Pardoned, But….!!! 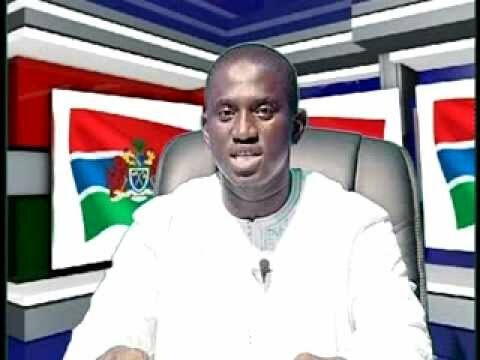 The former Secretary General, Momodou Sabally has been pardoned by Yahya Jammeh according to the letter sent from the office of the president to the Special Criminal Court in Banjul where the trial has been taking place. Even though it was clear from the onset that the charges such as economic crime, abuse of office and false information against Mr Sabally were bogus and nothing new in The Gambia but the trend in which Yahya Jammeh openly interferes with the justice system in the country is alarming and a cause concern. Yahya Jammeh has for a long time been interfering with the judiciary, because it is usually through the judiciary or his killer boys “the Junglers” he normally used to silence his critics by falsely accusing them and use his machinery judges to jail people on his terms. Worst still, Jammeh uses his Junglers to torture, maim or kill anyone he is not happy or comfortable with and such examples could be found in Imam Baba Leigh, Imam Ba-Kawsu Fofana, Amadou Sanneh’s et. al, cases. However, Jammeh used to interfere with the judiciary in disguise, but now he has started doing it in the open in Njogu Bah and Momodou Sabally’s cases respectively. This is alarming and a cause for concern because for a country to develop and more forward judiciary is one major player that needs to be independent and free from all kinds and forms of interference. It is vitally important in a democracy that individual judges and the judiciary as a whole are impartial and independent of all external pressures and of each other so that those who appear before them and the wider public can have confidence that their cases will be decided fairly and in accordance with the law. If and when that is not the case, the country as a whole suffers in terms of law and order, foreign direct investment, democracy and fairness. Because investors will have to rely on the judiciary system of a country in terms of disputes and other legal settlements, but when that is not independent every prudent potential investor will be put off and thereby negatively affect the country’s economy. It is all well and good for Jammeh to pardon people, especially those that are arrested, charged and jailed under his terms, but it cannot be during the trials because justice must be allowed to take its course. As a result, we are calling on Jammeh to seize his current trend else whatever is left in the country will soon disappear because that is not only a mockery of our justice system but of the entire country and economy.